NOTE: These new solderless connectors replace the old-style slide connectors. 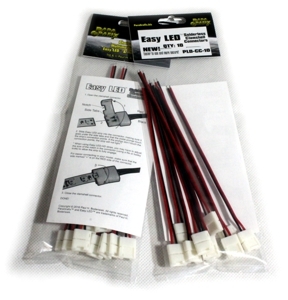 The exclusive notched design allows these new connectors to be used with either standard and high definition Easy LED Strip, while providing a secure, easy to assemble connection. Simply open the connector, slide the strip in place, and close it again.